NEW GCS-3 Guitar Cabinet Simulator & DI Boxes featuring Natural Resonance Response™ Turn any full-range passive or powered monitor speaker or sound system into a dynamic guitar cabinet, loaded with your choice of drivers. No mics, power amps, guitar cabinets needed. 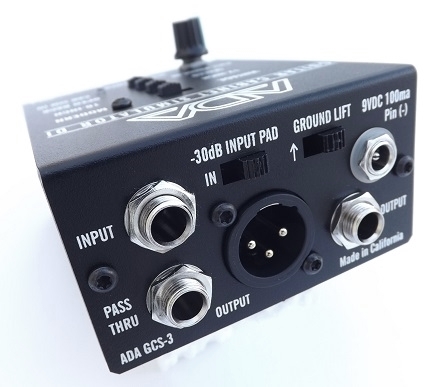 Just take your guitar signal from your pedal board, preamp or power amp (GCS-3 only) and send it to the house sound console or board or powered full-range cabinet.